It is a testament to my growing age and irrelevance that I found myself in the middle of a sea of similar looking cookie-cutter unfamiliar faces. I hear they’re all influencers and they’re invariably young, beautiful and dressed in all-white. That was the dress code of the event but as a rebel, I came in grey. Don’t get me wrong, I’m not one of those old bloggers who bemoan the invasion of attractive Instagrammers and YouTubers. Far from it – as a red-blooded, meat-eating member of the male species with strong heterosexual appetites, I do enjoy looking at pretty girls. I even got one of those newfangled Instagram influencers to pose with me. It almost made me feel young again. I must admit, I have taken inspiration from some of the photos these IG folks posted. I did a similar one with my own twist and I’m proud to report that the picture gained a lot of traction on Facebook. I’m even more gratified that my solo shot got more likes than the one I took with the appealing influencer. That is not usually the case, so thank you all! 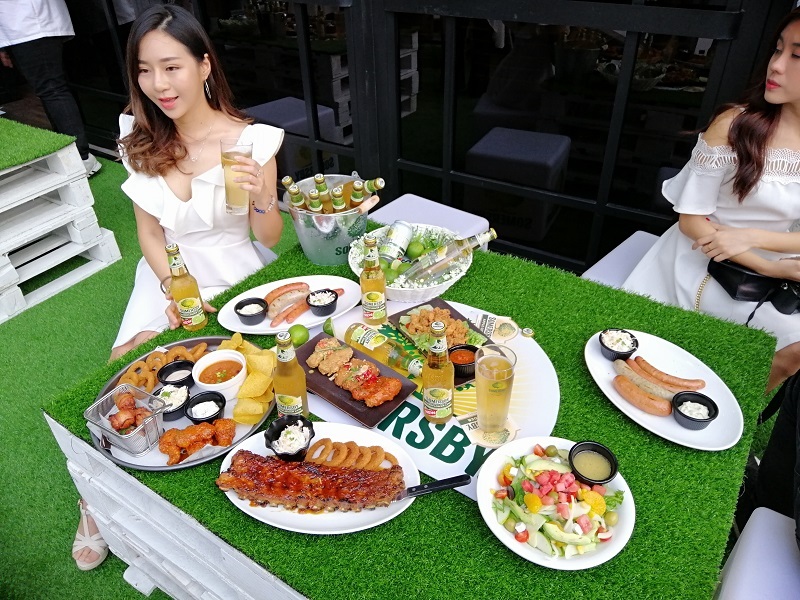 This event is a Somersby x Morganfield’s collaboration that celebrates and pairs Somersby’s new Elderflower Lime with a few select Morganfield’s menu items. 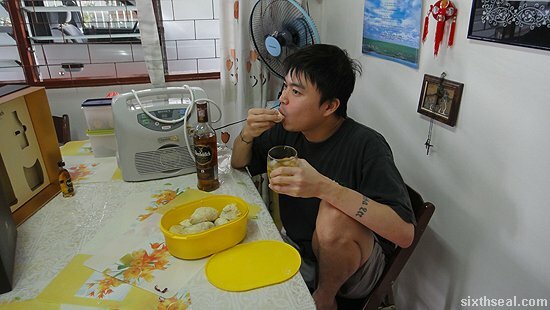 I like alcohol and I love food. Da Men is just 7 minutes away from my condo, so I thought I’ll make an appearance. 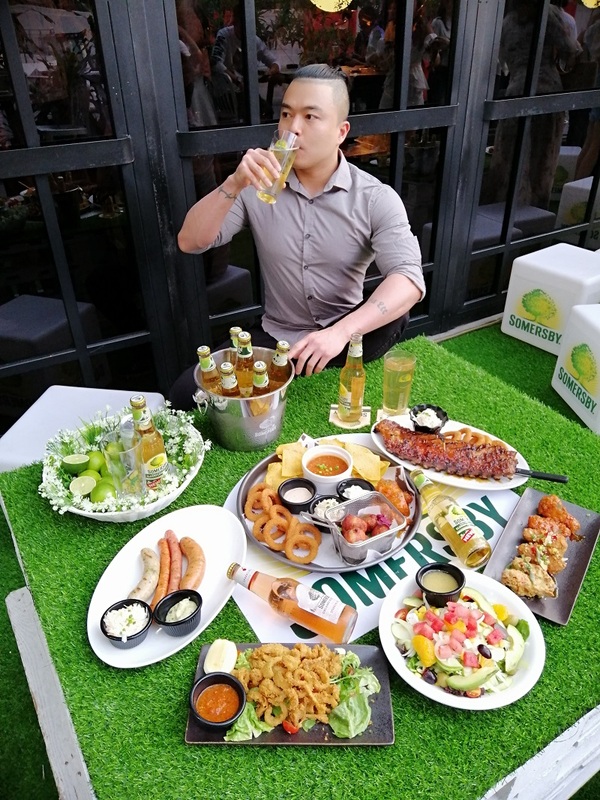 Morganfield’s at Da Men, USJ is home to the first ever beautifully decorated Somersby Garden in Malaysia. There’s a swing where you can take photos as well as garden themed furniture and tables. 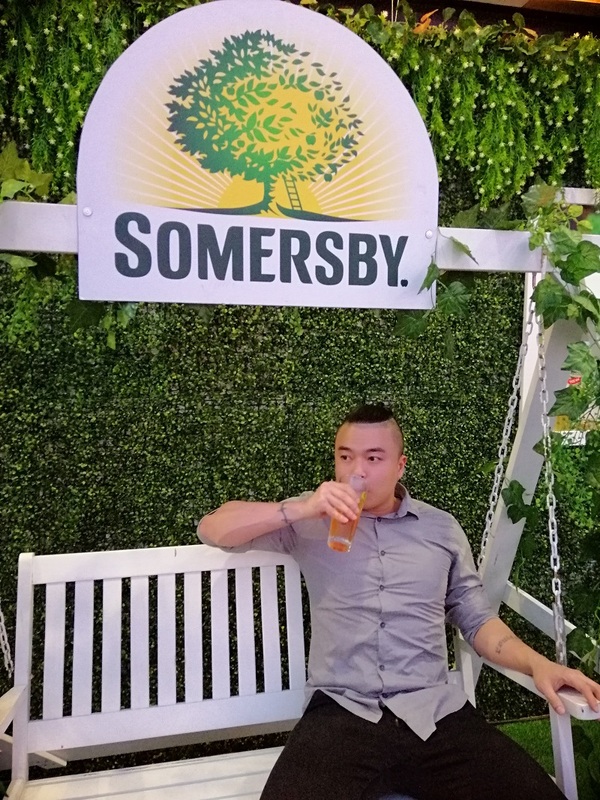 They have freshly tapped Somersby on draught too. There’s also a promotion on the baby back ribs they import from Spain in various alcohol marinades. 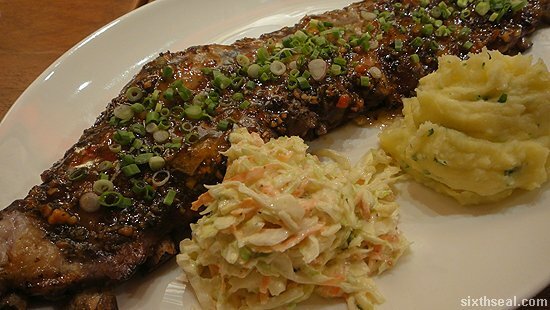 Jim Beam BBQ Baby Back, Citrus Mojito Baby Back and Jack Daniel’s Glazed Baby Back are all priced at RM 69.90. 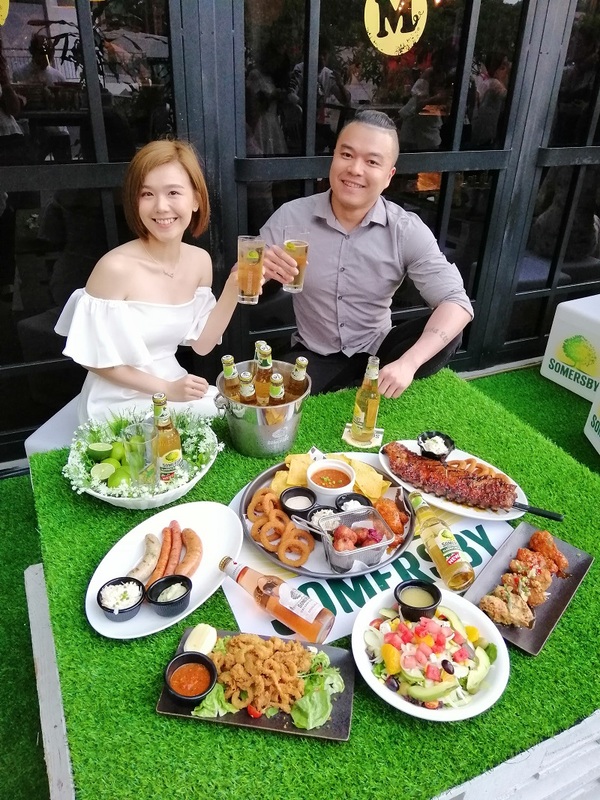 You can get Somersby Elderflower Lime at RM 9.90 per bottle before 8 pm and RM 39.90 for a bucket of 4 bottles all day long with any purchase of baby back ribs. 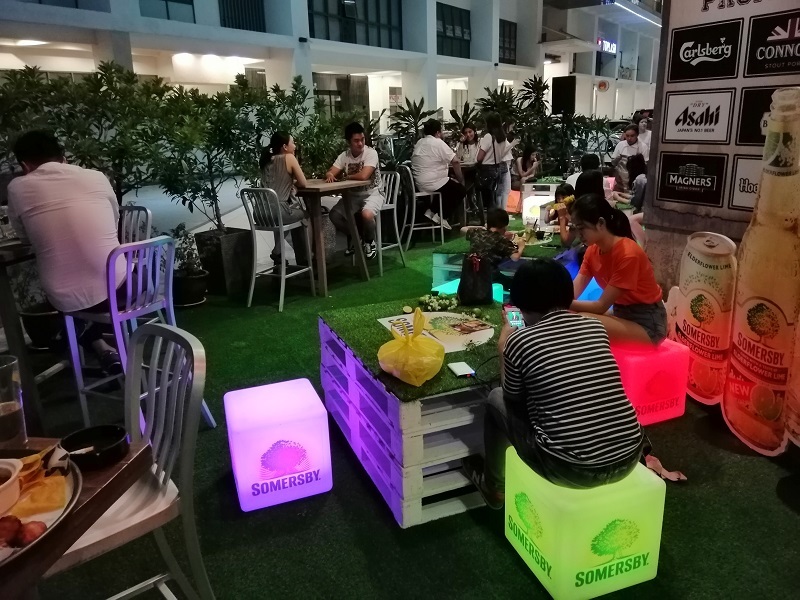 Somersby Elderflower Lime is a refreshing cider with 4.5% ABV. There’s a pleasant floral note and an invigorating lime aftertaste which makes this very thirst-quenching. It’s perfect served over ice. This is a very suitable drink for our muggy weather, if you’re not adverse to consuming a bit of sugar. I like it but I prefer the Somersby Orchard Selection Sparkling Rose. I like dry ciders. 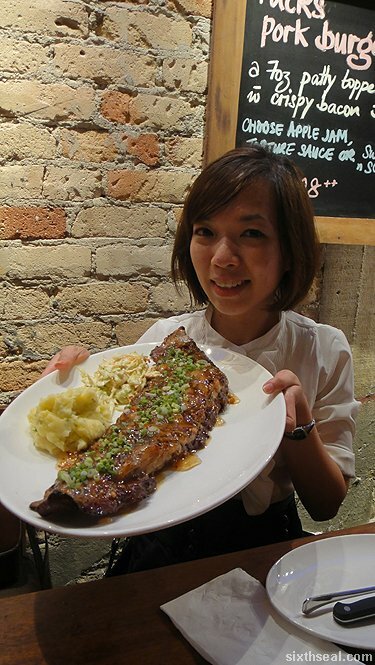 I tried the Jack Daniel’s Baby Back Ribs and it was delicious! This is not the type of ribs that disintegrates and falls off the bone as soon as you touch it. There’s a bit of bite to it but it’s super flavorful. I also like their Sticky Wings. The Pork Sausage Platter with Spicy Devil, Smoky Bandit, Herby Hog and Cheesy Cheese was a huge hit at my table. 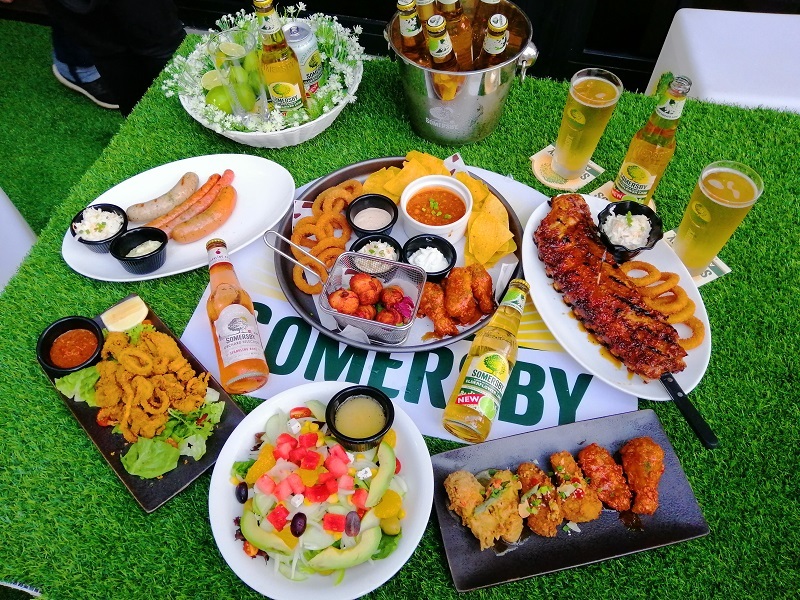 There’s also a snack platter called Fourplay with Bacon Wrapped Meatballs, Onion Rings & Chilli Con Carne Dip, Corn Tortilla Chips and Sticky Wings that I enjoyed too. I particularly liked how the hot, crispy onion rings go with the baby back ribs. 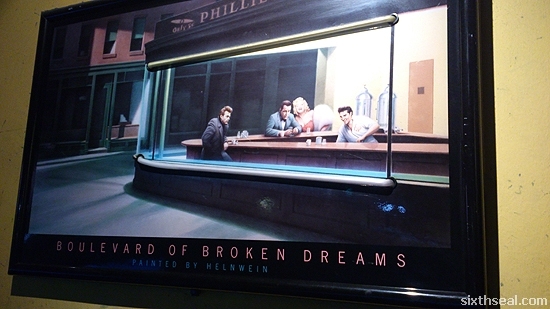 Check it out at Morganfield’s Da Men! 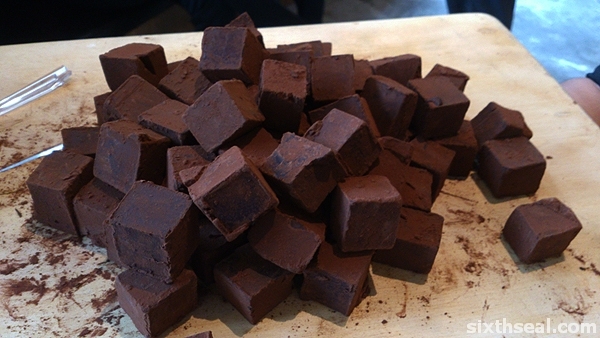 This is one of the most awesome chocolates I’ve ever had – it’s made of over 80% cocoa, very dark and bittersweet, with a dusting to finish it. 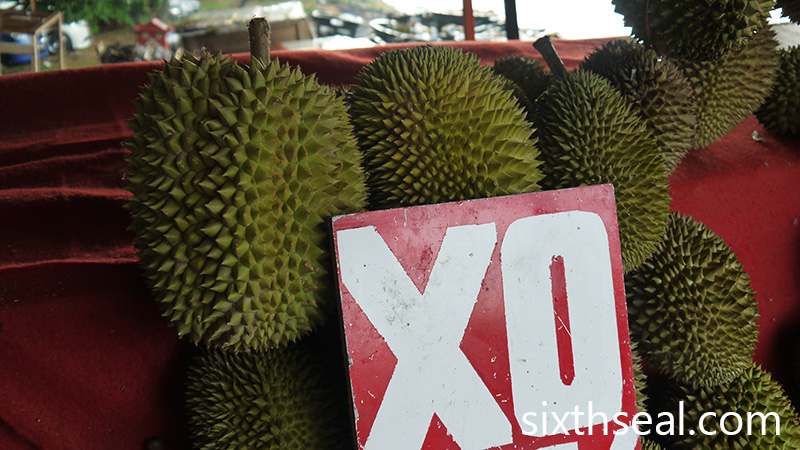 I think a whole bunch of us in Singapore had way too much of these. I know I certainly did, totally ruined my appetite for dinner. 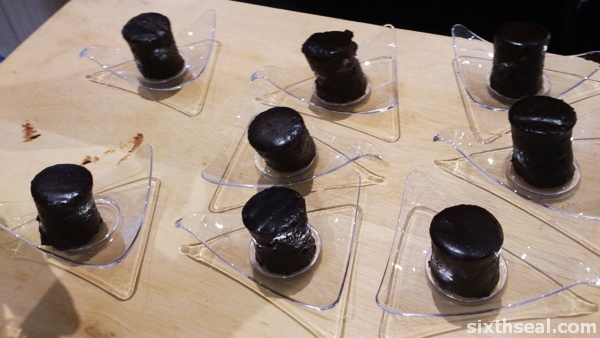 This is pretty good too – it’s a layered chocolate cake and almost impossible to dissect but let me attempt to describe it – it contains layer after layer of moist and fluffy pastry covered with chocolate. 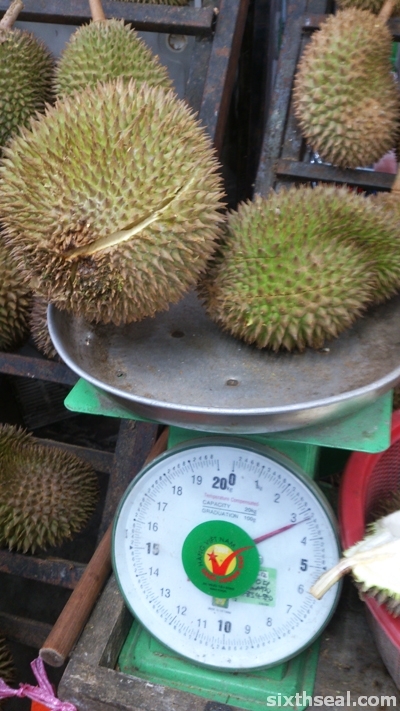 I was impressed, it was so light it felt like I was eating mostly air. 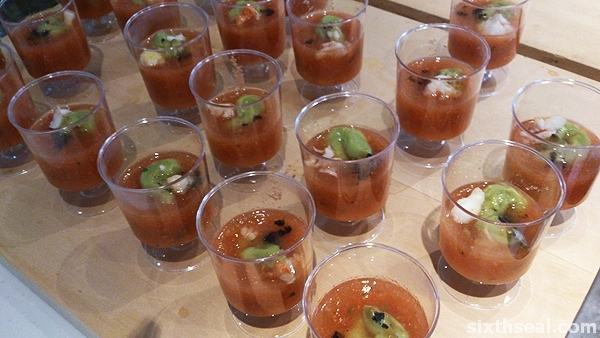 Lobster shooters. I liked this one too – awesomely concocted pieces of lobsters with the accompanying sauces and garnishes in one ready-to-drink (eat?) 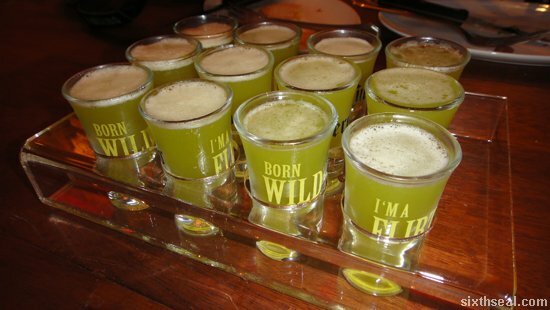 shot. 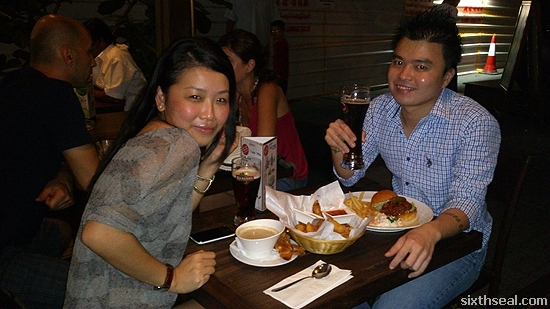 I recently went to the newly launched Racks Bar and Baby Backs in Changkat Bukit Bintang for dinner. 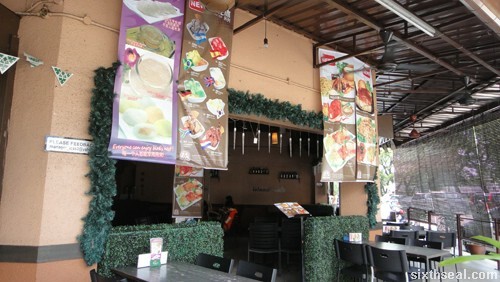 This place specializes in pork ribs and also has a menu with a plethora of all things porcine. 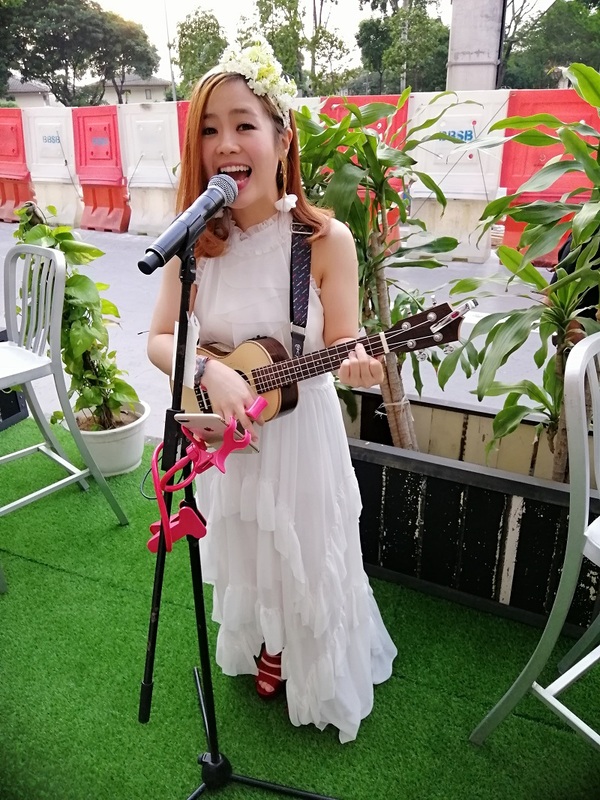 I’ve written about this place for Lifestyle Asia – the Nice Racks in Changkat Bukit Bintang article is a piece I did for them as a freelance writer. The suggestive presentation is intentional. Heh. 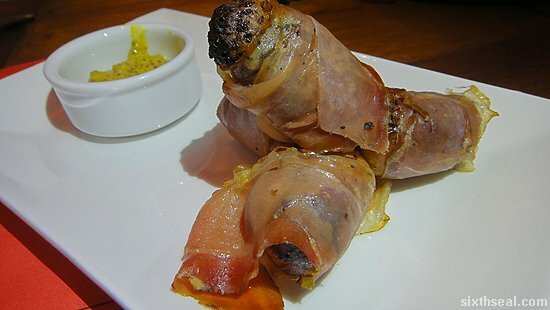 These are spiced oxfords wrapped in parma ham. 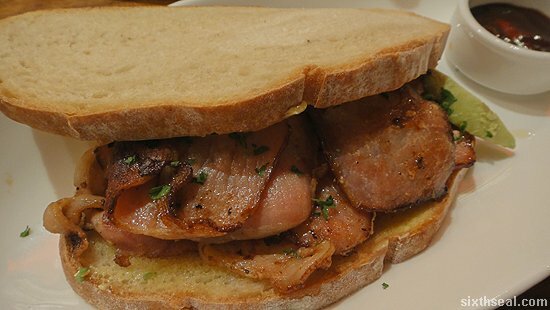 Parma ham is a slow dry cured ham from Italy – it takes 12 months to complete and is served uncooked. 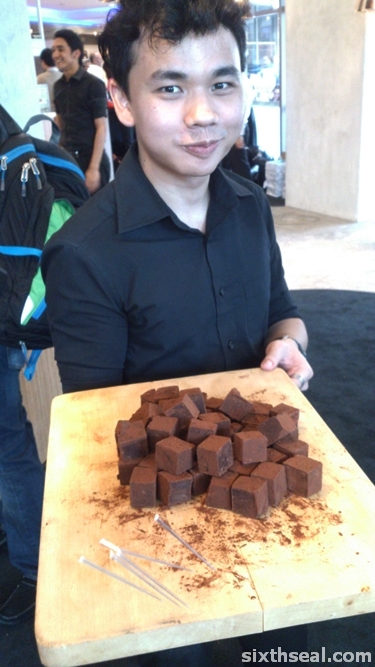 The result is a sweet slice of heaven with a heavy pork fat aftertaste. 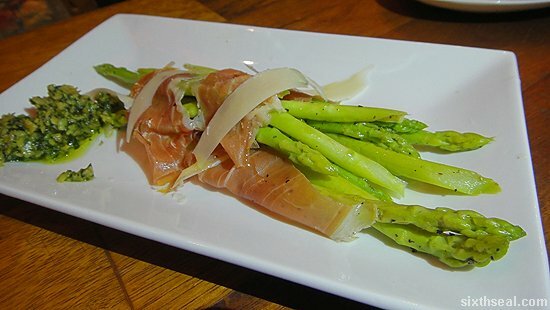 The steamed and buttered asparagus gives a little balance to the food pyramid. It’s quite refreshing after all the pork dishes and asparagus is one of the few vegetables I actually like. 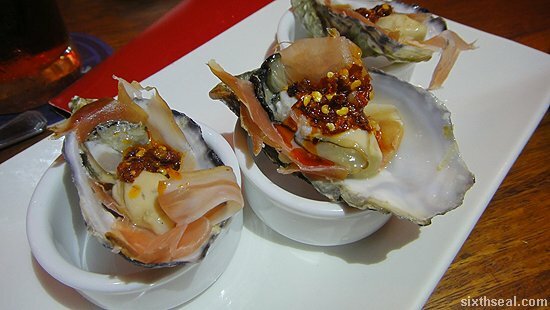 I love oysters and I love Prosciutto di Parma (Parma ham). What could go wrong with a combination of the both? 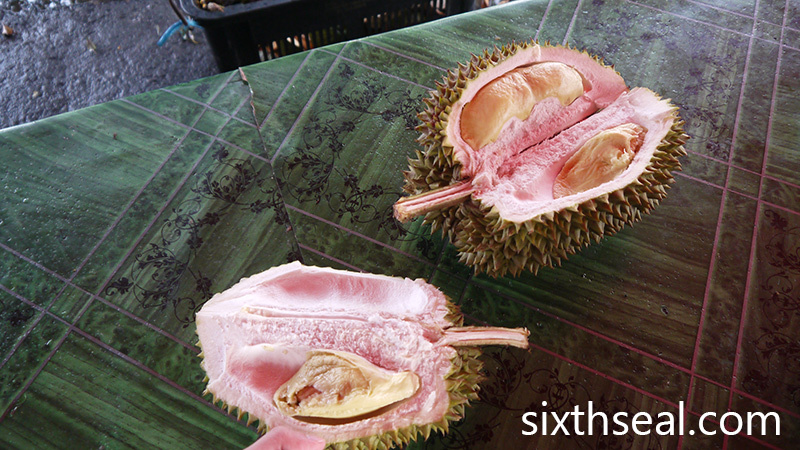 It’s delicious and the spicy sambal on top provides a fusion twist! I’m a bit of a traditionalist when it comes to oysters – I still prefer it au naturale but this is horizon expanding stuff. This is a brilliant implementation that wraps parma ham around fresh peaches before grilling it. 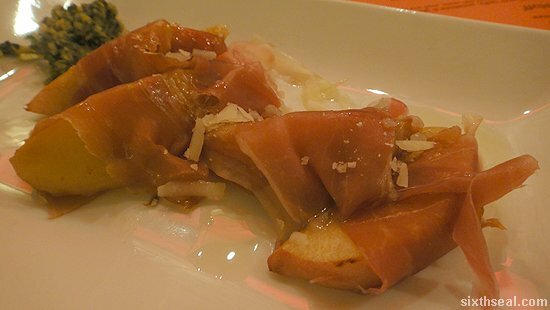 The sweet peach juices provides a nice contrast to the savory parma ham. It’s my personal favorite from the appetizers menu. 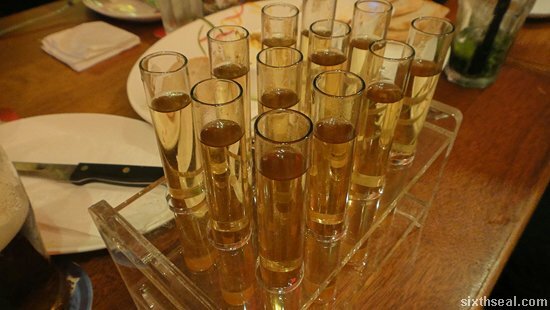 These shooters comes in a rack of 12 for RM 200 and is also the part of the namesake of the restaurant (in addition to racks of pork). 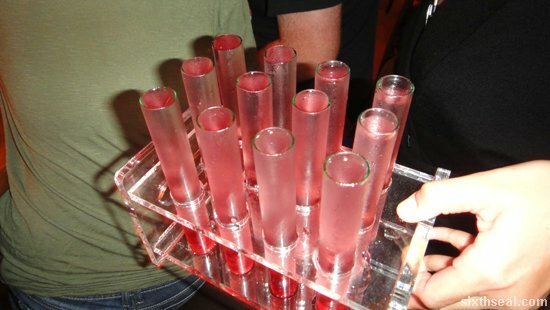 This Shock and Awe shooter is made with vodka, tequila, Jack Daniels and…Tabasco sauce. 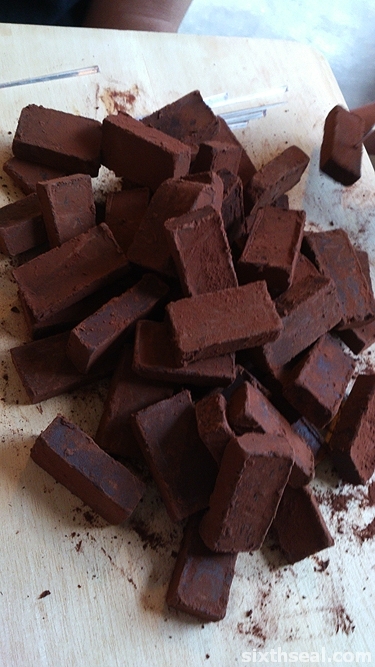 The last ingredient will leave mere mortals gasping for breath. It’s one of the stronger shooters and it makes sense to put in Tabasco sauce as it masks the copious amounts of alcohol well. Vodka, peach schnapps and a dash of cranberry. This is to extinguish the fire caused by The Molotov. It’s sweet and a more traditional shooter. The mix of Midori melon, pineapple juice, vodka and run is positively delicious. 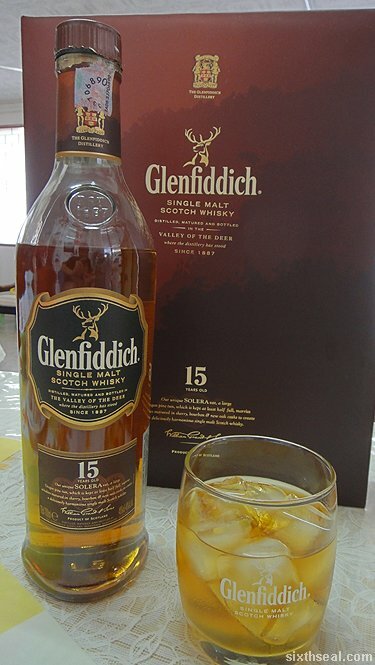 I think of it as a holiday drink, something to sip while lounging by the beaches. 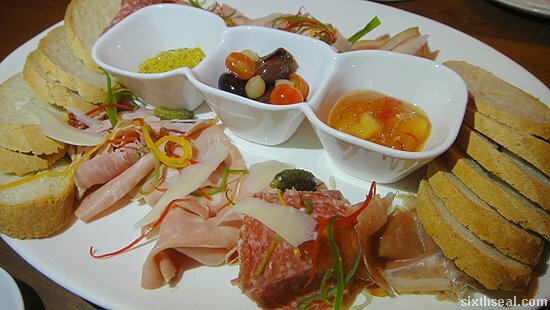 This is a selection of cold cuts with jams and breads (all made in-house). I like the freshly baked bread – it goes very well with their apple-chilli jam and the slivers of cheese and cold cuts provides the savory twist to the sweet jam slathered bread. Nestled among the buns is a 7 oz juicy home-made patty. 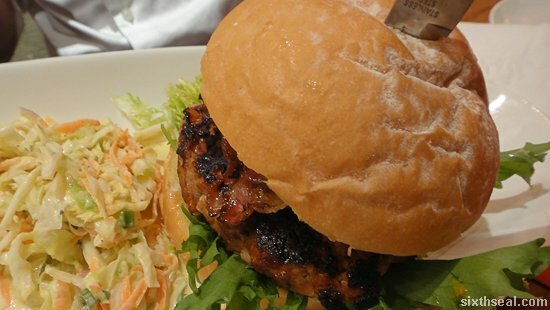 The pork patty is juicy and tender, one of the best pork burgers I’ve ever had. Don’t be fooled by the deceptively simple presentation – this is great stuff. 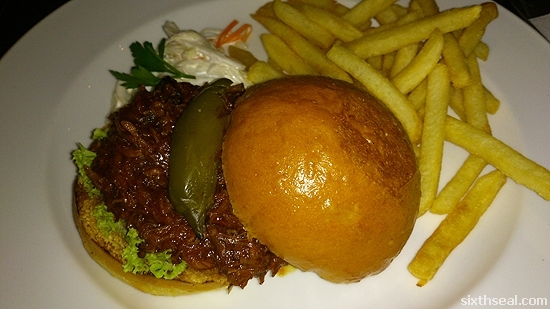 The burger has the works, the only beef ( ) I have with it is crispy bacon. I’m a soggy bacon kinda guy but I’m sure they’ll switch it if you ask. The BAD stands for bacon, avocado and dried tomatoes. The fascinating thing about Racks is that they use their own oven to dry the tomatoes – it’s not something you get off-the-shelf and it shows in the taste. 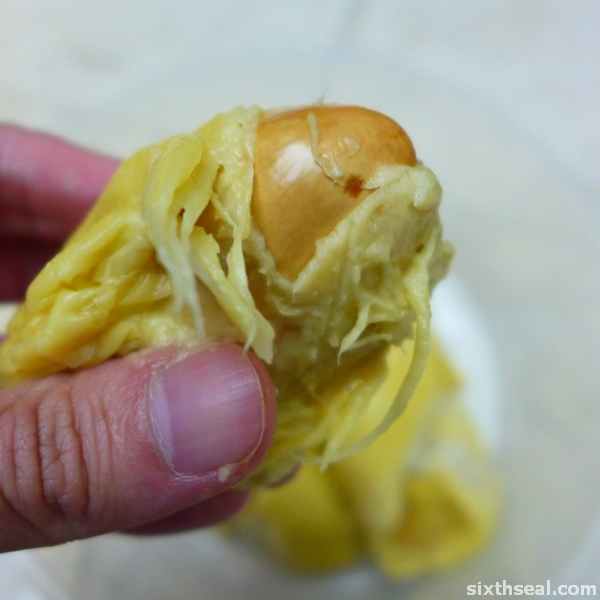 I found the bread a bit too much though but that may be coz I’ve been eating a lot of it in the previous dishes. The piece de resistance. 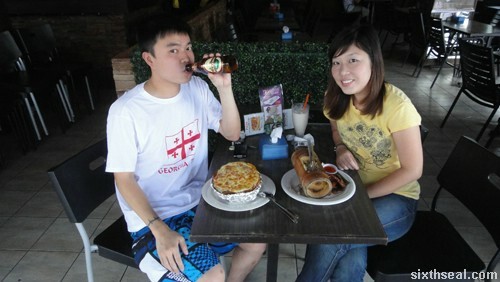 It reminds me of this pizza place near my campus when I was studying in Melbourne. They make the best hot and spicy pork ribs ever and I’ve struggled to find an equally good one since. This fits the bill. 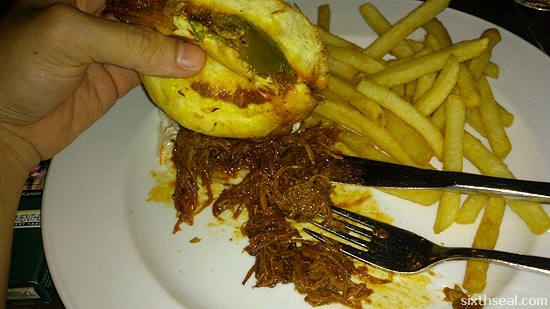 It’s really something you can get your hands into – a sticky, messy but delicious eating experience. This is my favorite dish of the night. It’s the marmalade glaze and scallions that sold it for me. 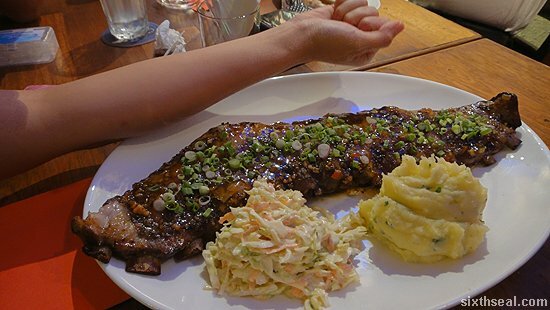 The pork ribs at Racks are slow braised and glazed on the spit for six hours and it shows – the meat literally falls of the bone and melts in your mouth. 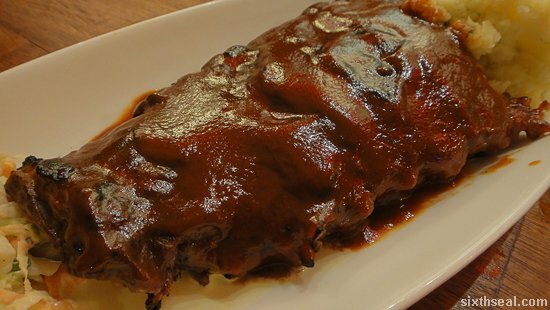 This comes highly recommended from me – the sweet marmalade sauce complements the pork ribs nicely. 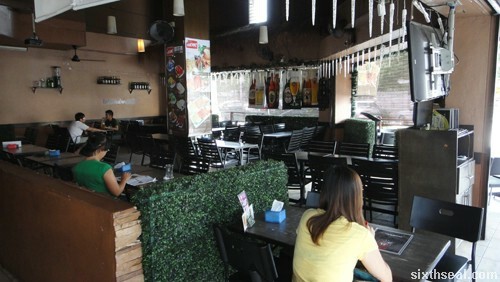 Racks Bar and Baby Backs will be coming up with more varieties of pork ribs in the future. 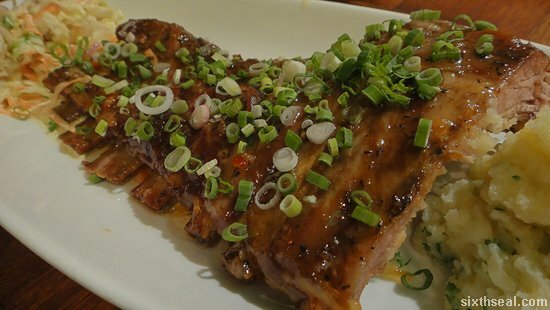 I can’t wait to try it – the Sweet & Sticky pork ribs had me craving for more. 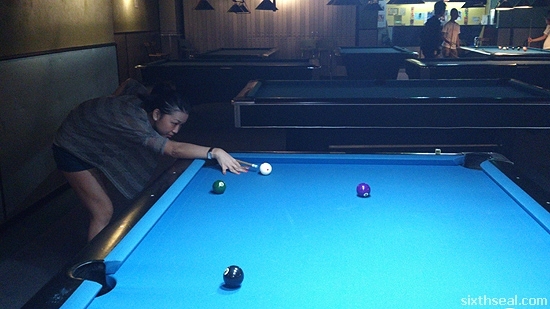 Thanks for the invite Winnie, Shu Min and Paul! 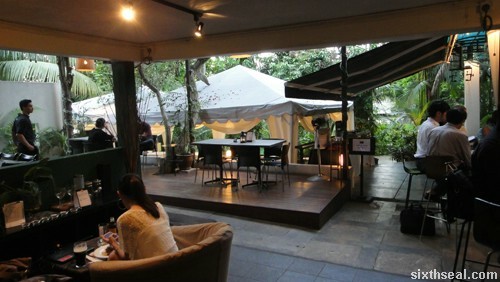 They also have an an all-you-can-drink apple martini breakfast on weekends – just add on RM 48 for free flow drinks. I like how Racks makes their dishes to order and most of the ingredients are made in-house too. 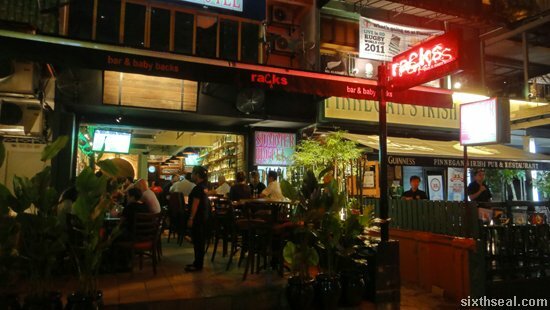 Racks is located beside Finnegan’s on Changkat Bukit Bintang. Is there an evil gene? What makes people evil? What is evil? Does “evil” merely mean “different” e.g. beyond the norms of what society (which obviously means the majority) expects a person to behave? Or do you think there is a gene that causes pure evil to manifest? One of my favorite phrases is the one that go “True evil is defined by the antipathy of the common man to society’s ills”. The omerta (code of silence) is a fascinating thing, sociologically speaking – it worked until the Mafia started to get into the narcotics trade which carries a far heavier sentence. I reckon the RICO act was the death of organized crime as it is. 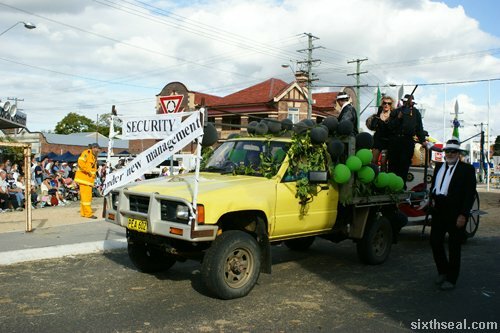 I just came back from Australia where I went to the renowned Casino Beef Week 2011 in Casino, New South Wales. Casino as in the small rural Australian town, not the place where people wager hard earned money on. 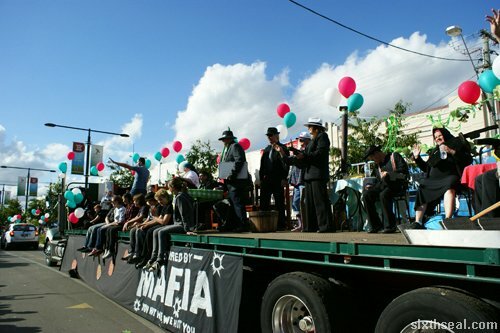 Anyway, the theme for this year was simply “Italian” and a lot of the residents came out dressed like Mafiosi. I reckon the Mafia is the gold standard in villainy – a lot of people aspire to be like them (at least the ones who are still in their teens anyway ;)) but you have to hand it to them – it is an impressive organization. However, there are much cooler villains – like the ones in DC comics. 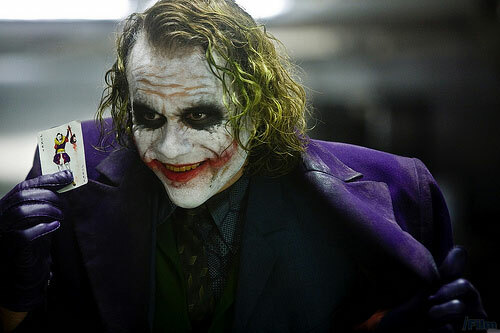 I have to say my favorite has gotta be Joker from Batman Begins. Who would have thought “Why so serious?” would become a catchphrase for ages and psychopathic (or at least sociopathic) behavior has become the embodiment of cool? I’m asking coz there’s an awesome party coming up and you will get to dress as your favorite super villain! 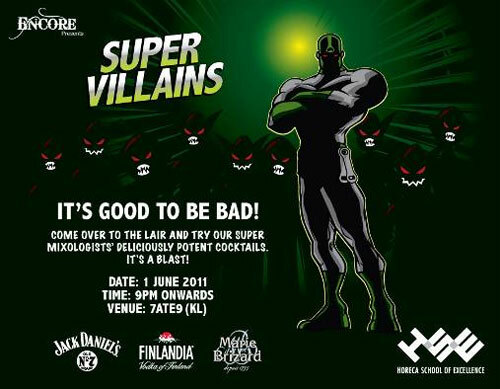 Encore is back the themed event Super Villains where you get to test out 4 new signature cocktails (Captain Jack, Juggernaut, Lady Luck & Red Sonja) priced at RM 17 each (or two for RM 30). There will be only 100 of these to be served during the night. 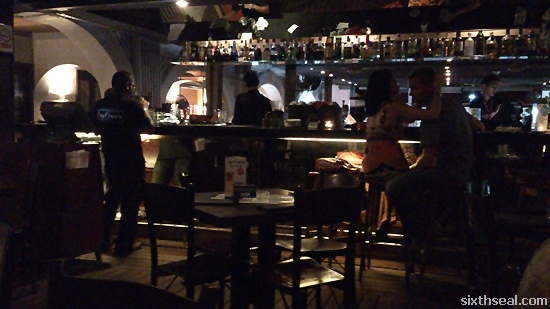 You can also mix you own cocktails and after 11 pm, there will be 4 hot dancers to spice up the night. 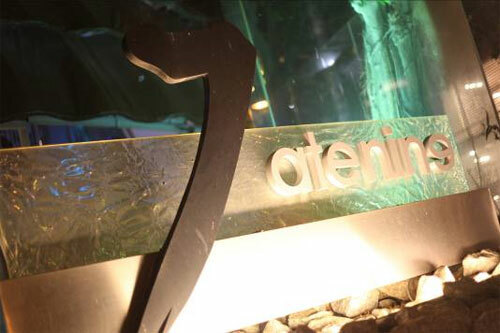 Super Villains will be the theme of the night so expect dressed your favorite villains to make an appearance serving you. 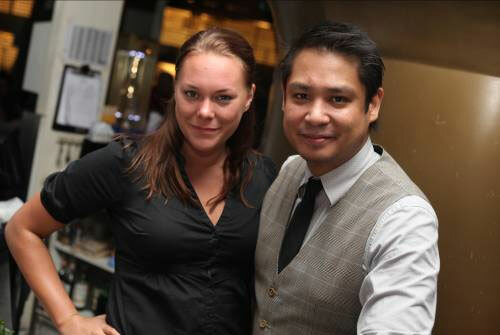 HORECA throws great parties; I’ve always attended all their events. In the spirit of the subject of villainy, let’s hear your thoughts on the Scared Pose Look (TM) that we thought up while we were down under. Choose one and tell me why you think they have the most scared pose and I’ll give 2 free drink vouchers each for the 5 most creative comments. Just comment before 4 pm on 1st June! 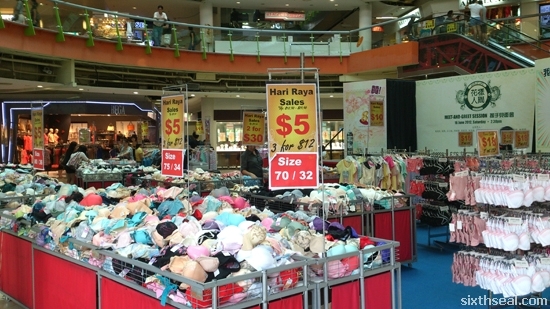 It was a hot and lazy Sunday afternoon – my girlfriend just came over to work in KL the night before and we stayed up late to unpack. By the time we hit the sack it was already dawn. We slept in and the clock blinked 2:00 PM when we woke up. I was famished! The problem with finding food at 3 pm in the afternoon (after showering and all) is that a lot of places are closed for lunch, and dinner hasn’t started yet. 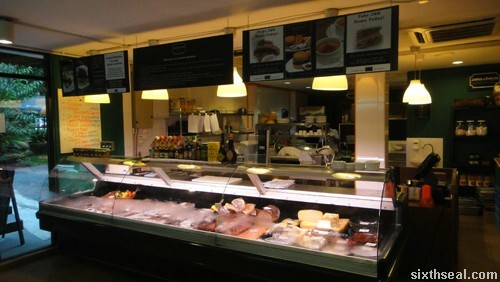 It’s the period of limbo between the two main meals of the day when most places just hunker down to weather out the heat. 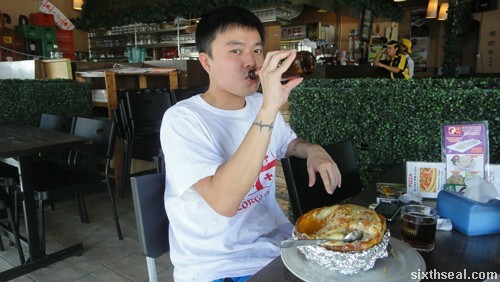 Nothing beats a cold bottle of beer on a hot afternoon to go with your lunch. 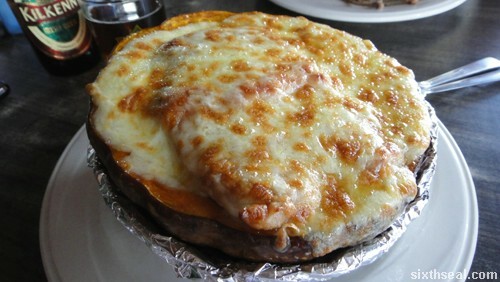 I ordered my usual – Pumpkin Cheese Baked Rice with Pork (RM 16.90). 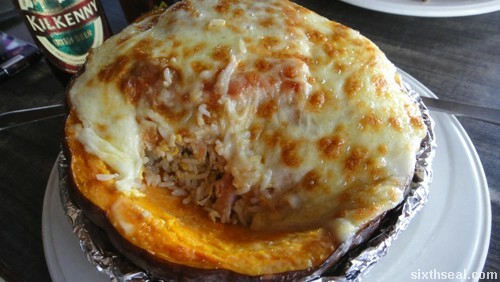 I love this dish coz it’s slightly different from the regular run-of-the-mill cheese baked rice other places offer – it’s baked and served in an actual pumpkin. 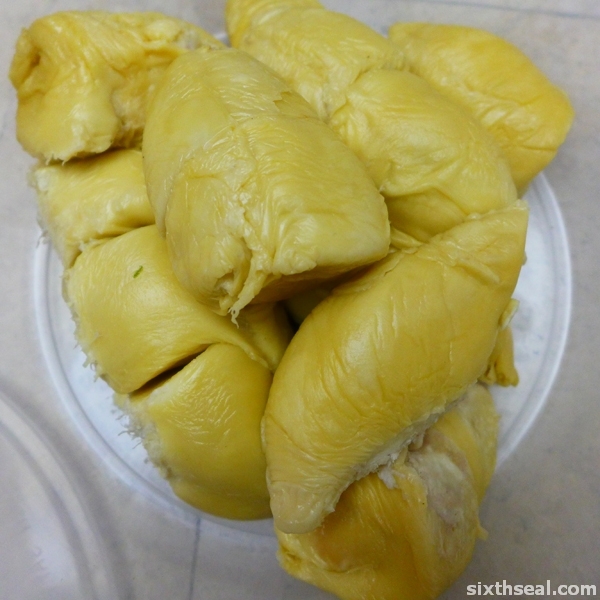 I love pumpkin – it’s an acquired taste, I hear, coz a lot of people don’t like it. 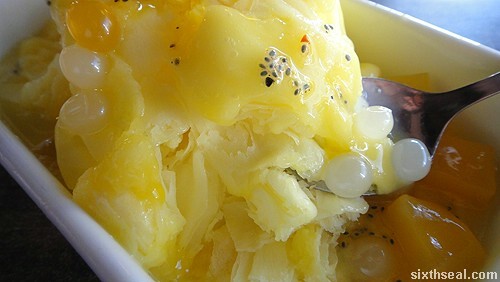 It’s sweet and the Pumpkin Cheese Baked Rice is made in such a way that the sweetness of the pumpkin is infused into the rice. It’s topped with two pork chops and melted cheese. 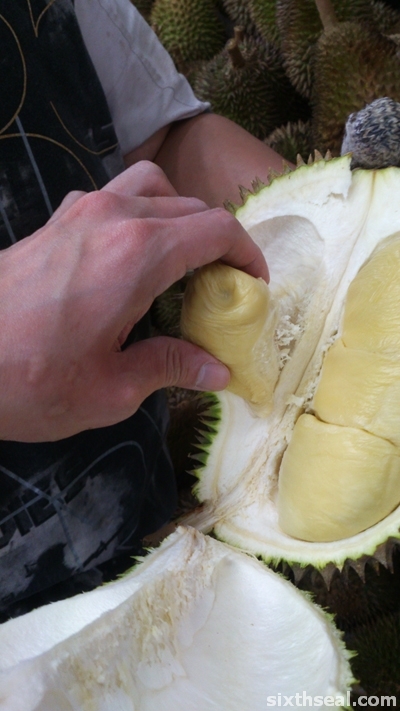 You can even eat the pumpkin flesh if you dig into it with a spoon – the “bowl” is a real pumpkin. 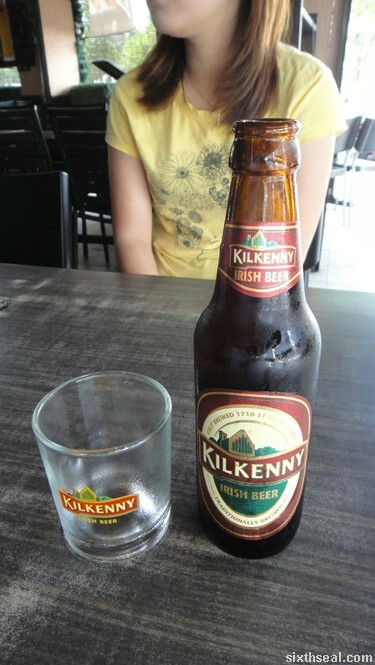 I noticed that Island Cafe has Kilkenny in bottles. I didn’t know they serve Kilkenny over here! 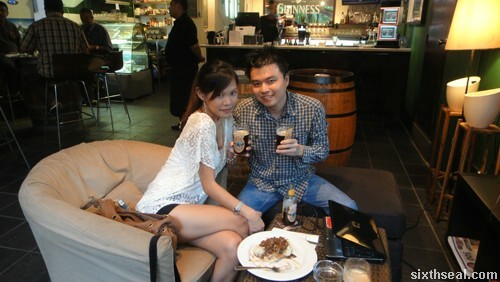 I usually drink Kilkenny draft from pubs. I thought it would be nice to get a bottle to go with my lunch, considering the heat. 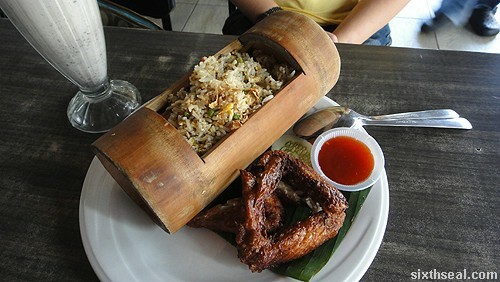 Jeanie had the Bamboo Rice (RM 15.90) which is basically fried rice served in a bamboo container with chicken wings on the side. 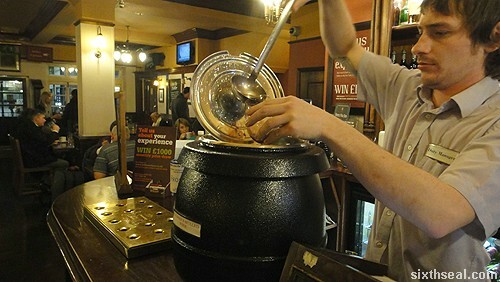 However, it tastes surprisingly good with Kilkenny. I like experimenting food pairings with beer. 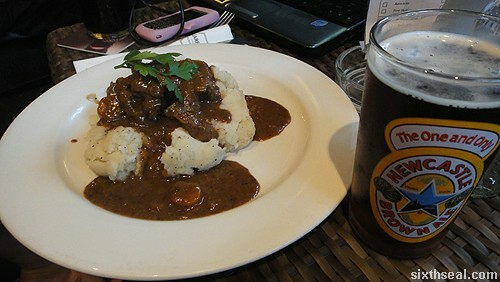 It’s more common with wine but the more flavorful beers like Kilkenny goes well with certain dishes too! 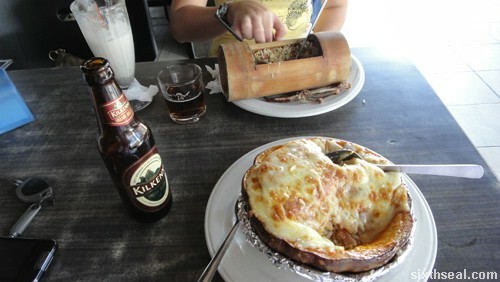 Jeanie also had a glass of the Irish beer with her rice. 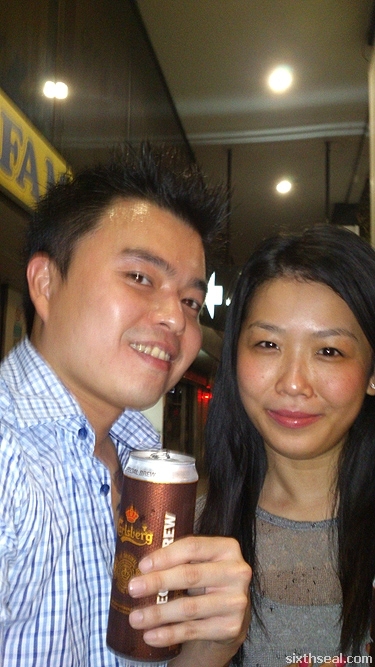 She thought it was rather unusual but novel to drink Kilkenny outside of a bar. She loves Kilkenny too but like me, her experience is limited to bars. I just found out that it was only recently that Kilkenny produced bottles for sale in certain modern food courts, cafes, restaurants, pubs and bars that does not already serve Kilkenny Draught. I think it’s great! The taste is pretty similar (although Kilkenny on tap tastes a bit smoother) and it’s nice to have the option of ordering an ale instead of the usual lagers while out eating local food. Lainey is not a beer drinker. She’s a liquor and wine kinda person. I have drinks with the bff regularly and the only thing even close to a fermented drink she’ll have is a Snakebite (Strongbow cider with beer – half and half). I personally like my beer. I used to read Beer Connoisseur and I suspect it’s the magazine that made me a bit of an arrogant drinker. I started drinking bocks and ales right off the bat just to appear more sophisticated. Heh! 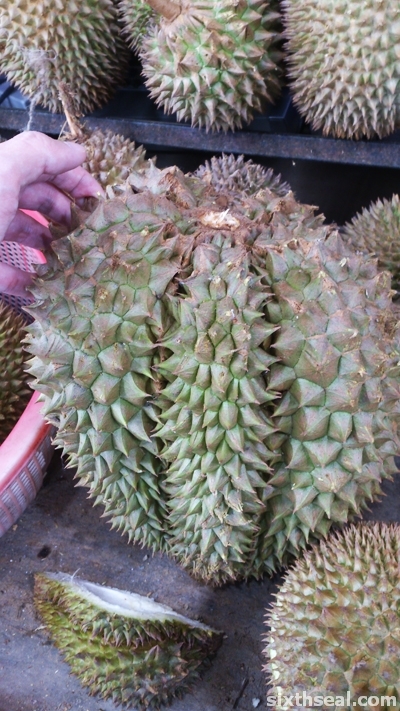 …but you know, it really grows on you. I started to appreciate the taste and complex flavors that goes into a fine ale. Anyway, whenever I go out drinking with Lainey she’ll be drinking something other than beer. 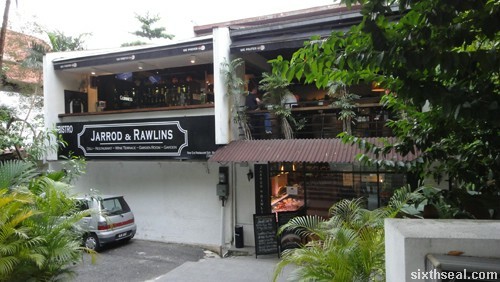 It was decided that last Friday’s watering hole would be Jarrod & Rawlins in Damansara Heights. 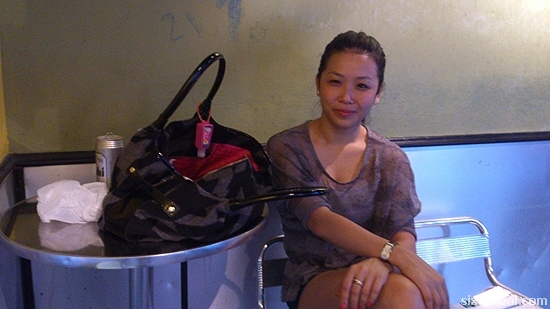 She works in that area and I live in Damansara Heights but I don’t think we’ve ever been here together. 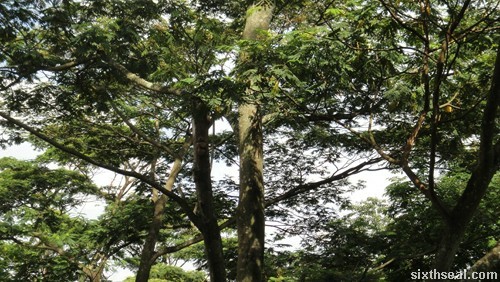 We usually go to watering holes in MidValley or TTDI so we headed somewhere different this time. I love Jarrod & Rawlins coz it’s a nice and chill place (and it’s very close to where I live – I could even walk home if I was so inclined). 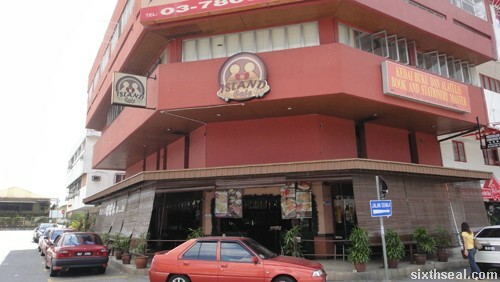 I also like the food there and their toilets are awesome. Yes, their toilets. 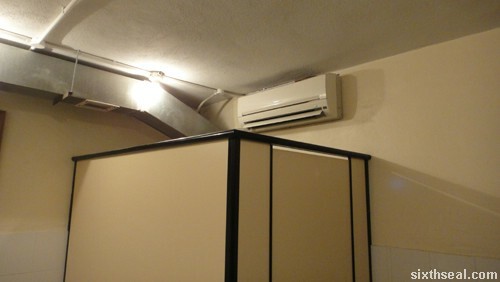 I know a lot of places have air conditioned toilets but where else have you seen a self contained unit inside the toilet? Not many places right? It’s awesome. You can take a dump in peace in a place like this. Comfort max. It sounds a bit wrong to segue back into food after that bit about water closets but I’ll do it anyway. 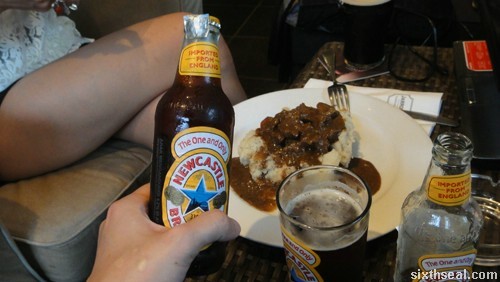 ;) I’ve already eaten so we shared a plate of stew and mash. 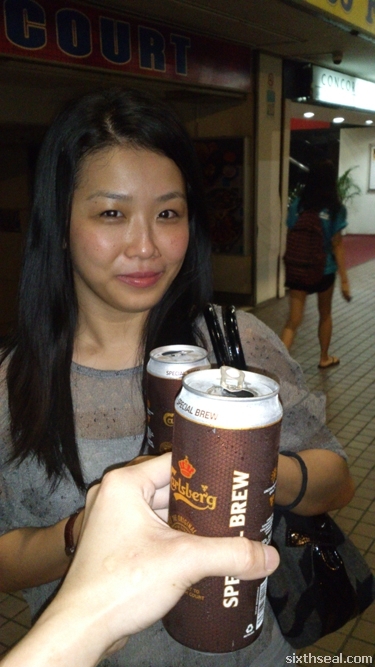 It was then that I noticed they have a lot of tent cards on the tables promoting Newcastle Brown Ale for RM 19. 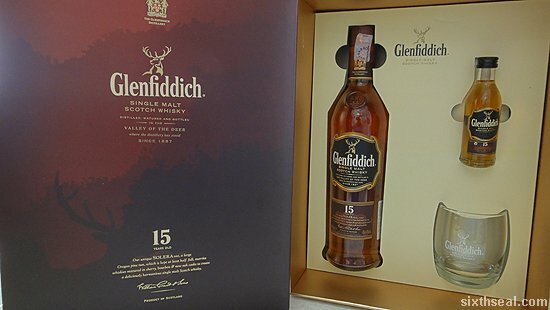 I have fond memories of my two recent trips to England so I ordered one to try. I ended up drinking 3 bottles. Heh! It is really good. It has been around since 1927 – an unconventional ale brewed by Colonel Jim Porter in (you guessed it) Newcastle, England. He was looking to make a unique ale that’s full flavored yet easy to drink. An ale is a man’s drink, I’ll like to think. 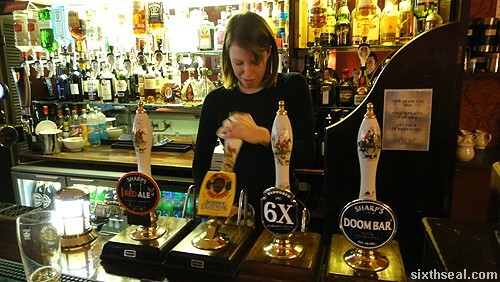 I had a lot of ale when I went to England. They really take pride in their beer over there. It’s a lot harder for new and young drinkers to palate since they tend to gravitate towards the lighter lagers. 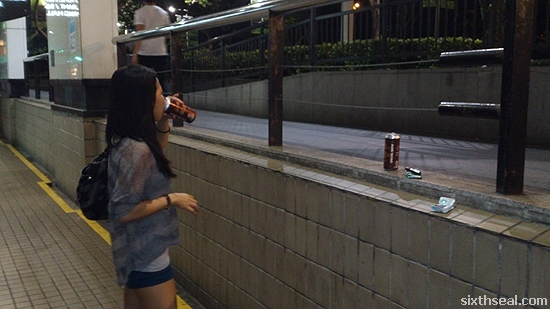 However, Newcastle Brown Ale bucks the trend by being smooth and easy to drink. Predictably, Lainey won’t drink the Newcastle Brown Ale. I insisted she try it – I told her to forget all the preconceived notions of beer she has and just sip it like a “blind taste test”. She did it for me, although I could tell she didn’t want to. If you know her, you’ll know she doesn’t drink beer. I was half expecting her to spit it out or even grimace but surprisingly she had some good things to say about it. Now, if you know Lainey that is VERY HIGH PRAISE indeed since she doesn’t even like light lager…and Newcastle Brown Ale is (obviously) an ale. Beer is serious business to the British. The Newcastle Brown Ale available here comes in bottles, and contrary to popular belief, you can bottle an ale and have it taste like draft beer too. 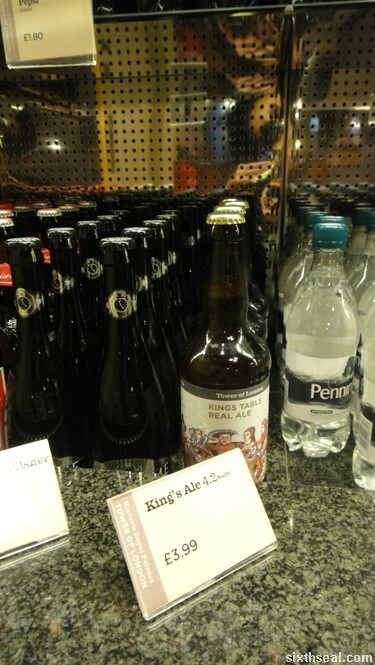 There’s this ale called Kings Table Real Ale that’s only available in the Tower of London. It tastes just as good and fresh as the ales in local pubs. I like the fact that Newcastle Brown Ale doesn’t have carbonation – it’s an authentic ale. The ales and beers in England doesn’t have carbonation too – it’s pulled from a pump like device – at least the local brews are. It tastes real smooth and it reminds me a lot of England…sitting down with a pint and just relaxing. Newcastle Brown Ale will appeal to both new drinkers and the more sophisticated beer lovers – it’s easy drinkability will appeal to the younger crowd while the full body and flavor will find affinity with ale purists. Newcastle Brown Ale comes in a 330 ml bottle with an accompanying glass and pours well with a golden honey color topped with a puffy white head. It’s 4.7% which is lower than what regular drinks over here weighs in at but about the same as British standard drinks. I found it slightly sweet and I love the caramel aftertaste too. 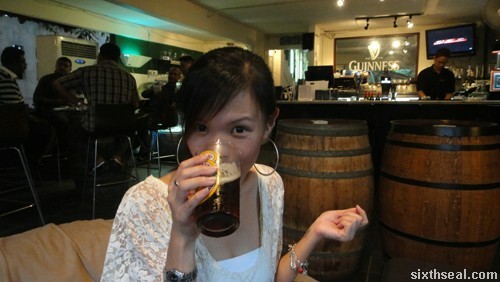 Just drinking one allows me to revisit the nice memories of going into a local pub in England and drinking a pint of ale…while in KL. 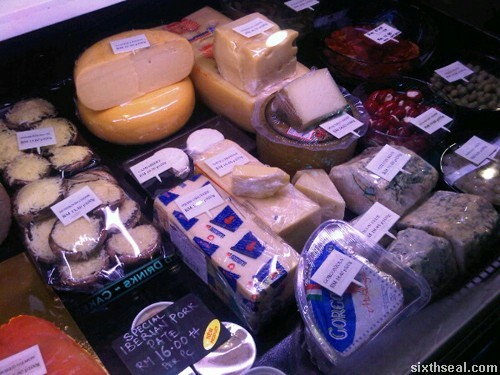 Try pairing Newcastle Brown Ale with cheeses, olives and deli meats like salami – all available at Jarrod & Rawlins. This ale also complements dishes like smoked salmon. 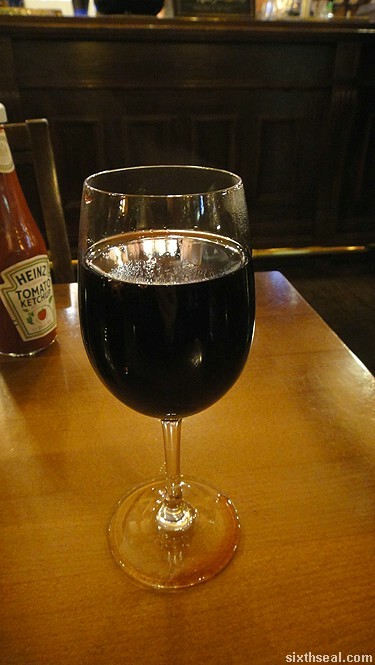 I’ve never tried British mulled wine before and I’ve heard a lot of good things about it. It seems rather hard to find, despite it being winter when I was there but I finally managed to track it down. Mulled wine is red wine with spices like cinnamon added and served warm. 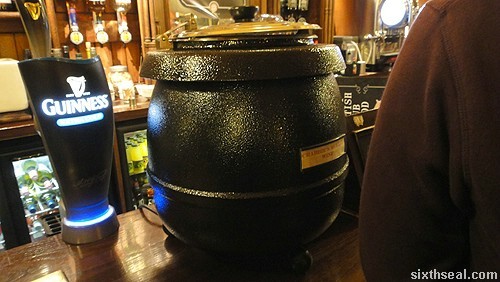 It comes out of a pot – the glass of wine is filled by ladling the hot mulled wine into it.